Project Overview: Students will design a three- dimensional eukaryotic cell model which includes representations of the major organelles. 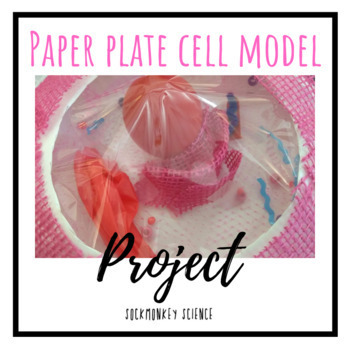 Your students will love creating their own paper plate cell! This hands on project will allow students to understand the basic structure and organelles of an animal cell. Make sure you check out the PREVIEW FILE to see the project and rubric. Student Worksheets, Rubrics, Teacher Notes, and Student Work Samples. Materials: (2) Paper Plates per student, tape or glue, scissors, plastic wrap or cello paper, (2) balloons per student, pipe cleaners, straws, beads, confetti, copy paper, ribbon. If you liked this project, you may also like my Spectacular Species activity bundle!